1. Hannah Reid, Dot Major and Dan Rothman met in 2009 during their first year living in halls of residence at Nottingham University and were signed to the Ministry of Sound label just after they graduated. 2. Their debut album, If You Wait, debuted at Number 2 in the UK chart. 4. Critics have described London Grammar as ‘beautiful’ (Sunday Times Culture), ‘elegantly minimalist’ (The Telegraph) and ‘every track on their debut album is beautifully constructed (Observer). 6. The trio posted their debut single, Hey Now, online in December 2012, and it’s since racked up over a million plays. Their EP, Metal & Dust, followed in February. 7. Hannah, 23, is the vocalist and rather charmingly has no idea how good she is. Bandmate Dot tells us: ‘I know the word is easy to misuse, but I do think Hannah’s voice is truly unique.’ And, take it from us, this girl is a talent to behold. Totally mesmerizing. 8. Dan is the band’s guitarist, while Dot plays the keyboard, djembe and drums. 9. The band are based in London, hence the name. 10. They cite their musical influences as being everything from Michael Jackson and Whitney Houston to jazz, blues and indie. 11. Their recent collaboration with Disclosure, Help Me Lose My Mind, shows that as well as their raw, understated, statement sound, something clubbier works just as well for them. 12. The next single, Nightcall, will be released December 8 and is a reworking of Kavinsky’s original track which featured on the Drive soundtrack. We love it. 13. London Grammar hit the festival scene hard this summer, with sets at The Great Escape, Secret Garden Party, Bestival, Glastonbury, Rockness and Festival Number 6. 14. 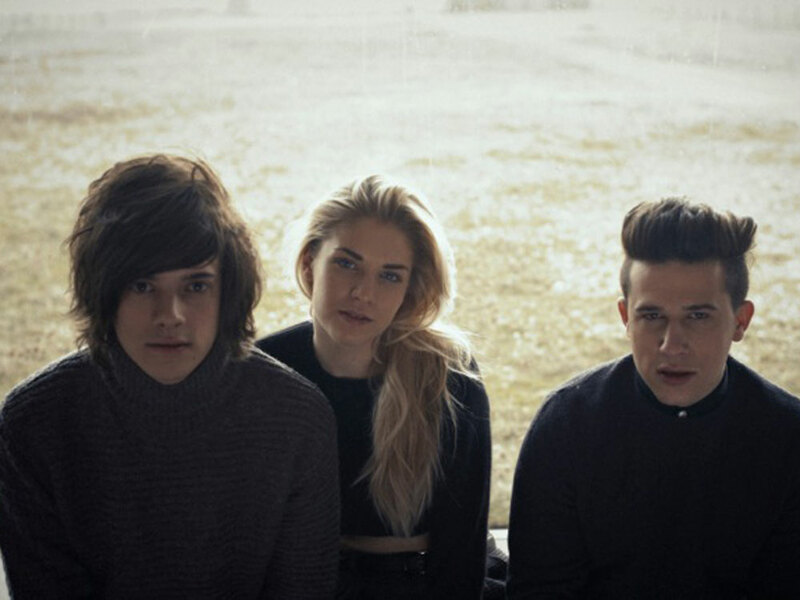 London Grammar’s UK tour kicked off in Brighton mid-October, and the band have just announced another run for early 2014. 15. Get these guys on your iPod and expect to be blown away.